What’s your sign? Andy’s Bar at the Fairmont Hotel is celebrating the season with an entire menu of zodiac sign cocktails! 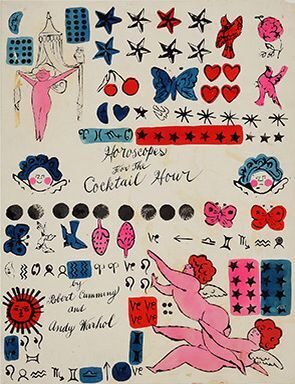 The bar, which is named for Pittsburgh-artist Andy Warhol, was inspired by Warhol’s “Horoscopes for the Cocktail Hour” piece, and decided to dedicate an entire menu to astrological signs. The playful menu offers a specialized drink for every sign in the zodiac, and is available now through the winter solstice on Friday, December 21, 2018. Andy’s is located on the main level of the Fairmont Hotel. The hotel has a another bar/restaurant on their second level, aptly named Floor 2. Andy’s is open Tuesday-Thursday from 4PM – Midnight, Friday: 4PM-1AM, Saturday: 3PM-1AM. Happy hour is Tuesday-Friday from 5PM-7PM.